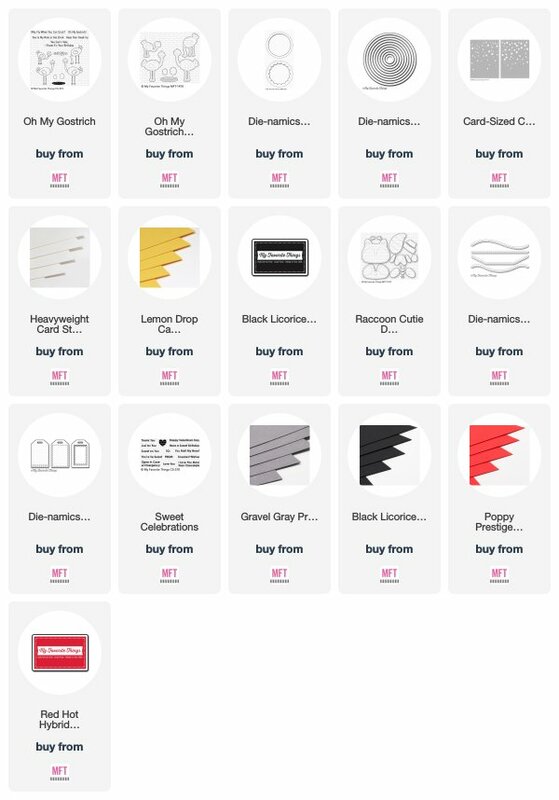 Paper Therapy: My Favorite Things–February 2019 Release Countdown Day 4! 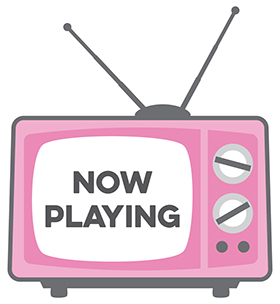 My Favorite Things–February 2019 Release Countdown Day 4! And of course I had to add a quick film clip of the card in action because you just have to see how fun this technique is! 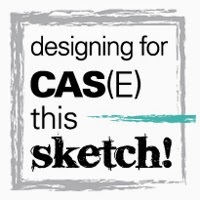 I’ve listed and linked all of the products for this project below. My second project features the new Raccoon Cutie Die-Namics. 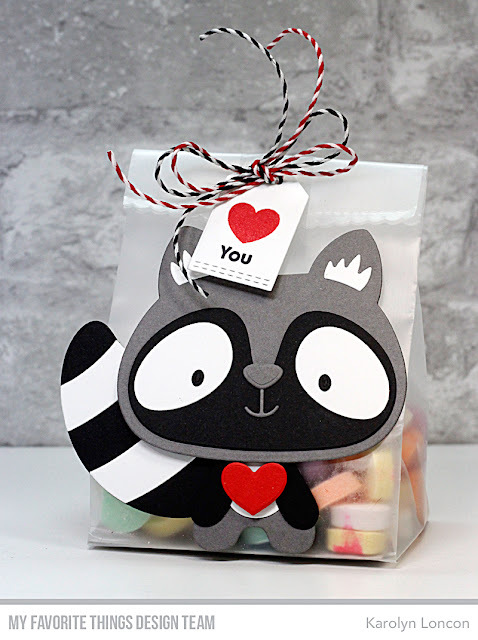 Valentine’s Day is coming very soon, so I knew that this adorable little raccoon would be perfect for a super easy to make treat container (I used a mini coffee bag that I had in my stash for the bag). These would be super fun and easy to mass produce, and very inexpensive! Again, I’ve listed and linked all of the products that I used for this project below. 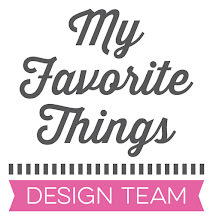 Please click on through to the MFT Online Boutique to be linked to the other adorable projects that my sweet teammates have created for your inspiration. While you’re there, be sure and leave some love along the way to be eligible for a $75 Gift Voucher to the MFT Online Boutique. A random winner will be chosen for every day of the this month’s Release Countdown posts. All of the February 2019 Release products will be available for purchase on Tuesday, February 5, 2019 at 10:00 AM EST. That’s it for me, my friends! I’ll be back in my craft room (I’m still soooo behind!) working on knocking out more deadlines for this week’s release! I’ll be back again tomorrow with another release project, so I hope you’ll come back real soon to check it out! Thanks for stopping by, and have a great day! Your card and raccoon treat bag are lovely! I love the ostrich peek-a-boo card! It's fantastic! Love the peek-a-boo card - so cute with the ostrich!! The card is hilarious1 Totally cracked me up! 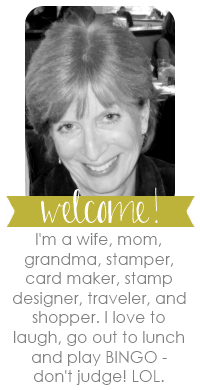 Your cards are so sweet Karolyn. 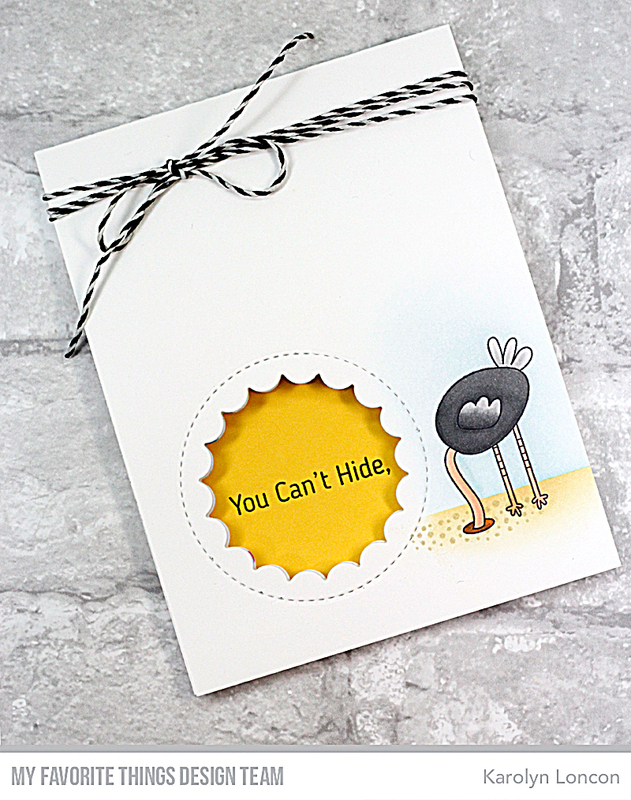 The ostrich card is special with it's interactive element, great idea. Thanks for sharing these with us. Card is adorable and the great bag is so very cute! 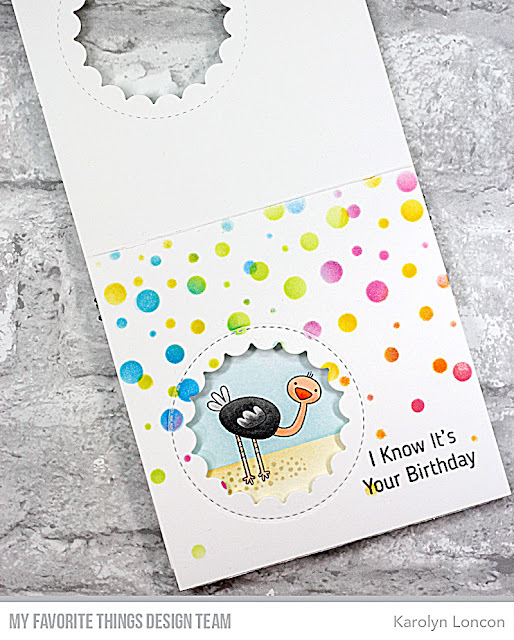 Great use of the darling ostrich and the words to make a great Birthday card! Awesome designs! The raccoon is adorable and I love your creative ostrich card!! I love the ostrich card! So cute. Got to have it!